"Amy's smart, quick-witted writing style, ability to seamlessly integrate marketing strategies into copy and impeccable account management skills makes her a tremendous asset. I highly recommend WritePunch for any copywriting need." Are you ready to live your best life? Discover your true self? Live your dreams? Then it’s time to partner with Ceviant Coaching. 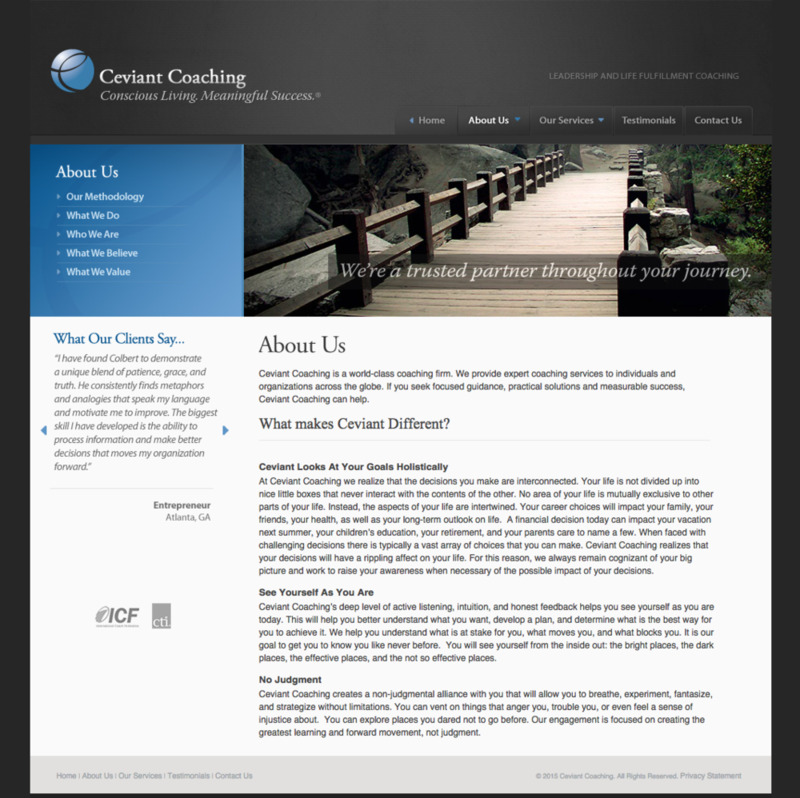 Ceviant Coaching offers superior coaching services, driving individuals to reach their full potential and achieve outstanding personal and professional success. With years of coaching and consulting experience, we specialize in developing and applying tested principles and processes that allow our clients to raise their consciousness in all areas of their life. This enlightenment provides the insight needed to more effectively process information, make better decisions, and achieve goals. Our unique holistic approach connects all areas of your life, pushing you to reach both personal and professional success. We’ll coach you to bring out your most authentic self so that you can create the life that you seek. In other words, Ceviant can help you create the life you seek or maybe the life you did not even know was possible.